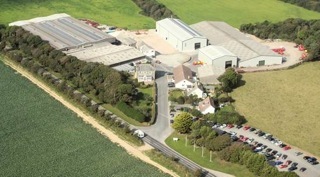 Teagle are a family run company who manufacture quality agricultural machinery from their base near Truro in Cornwall. TEE Ltd have carried out electrical installation works to Teagle’s new industrial buildings, and have also installed energy efficient lighting and fire alarms into their existing buildings. “The latest addition to our premises is a 1,250 square metre production facility, purpose built for the manufacture of our new range of rear discharge muck spreaders. Inside this new building, muck spreader bodies are welded together, shot blasted, painted, assembled and fully tested. “When the new building was put up, TEE did the full electrical installation work including fire alarm and emergency lighting. “They’ve also fitted energy efficient lighting throughout our factory, which we estimate will give us a 2-3 year payback, and fire alarm installations on our other buildings have all gone well. “TEE are our preferred supplier for electrical installation work. We’ve not come across anything they couldn’t do; their engineers are very competent and experienced. All the work they’ve done for us has been carried out to a good standard, on budget and within the timescales agreed. “On a complex installation there are always additions that weren’t specified in the original requirements, but we normally come to a fair agreement on price for any extras.